View the full results at the BBC. New Jersey’s Courier Post spoke to Bat­man Begins and The Dark Knight exec­u­tive pro­ducer Michael Uslan. He expects the third Chris Nolan Bat­man movie to make an appear­ance in 2011. This seems log­i­cal to us, fol­low­ing a sim­i­lar time frame as Begins to Knight — it gives the cre­ative team a chance to flesh out some ideas whilst allow­ing Nolan to have a break from the fran­chise for a year or so, per­haps to work on other projects (such as The Pres­tige). Uslan will be onboard as exec­u­tive pro­ducer for the “Dark Knight” sequel, which he esti­mates will be [in] the­aters by 2011. As for the iden­tity of the next round of Batman’s supervil­lains and love inter­ests, Uslan remains tight-lipped. “It’s one of those deals where if I told you, I’d have to kill you,” he says with a chuckle. The signs are look­ing good, and given TDK’s Best Pic­ture and Best Direc­tor snubs, all our chips and Heath Ledger’s are in on this one. 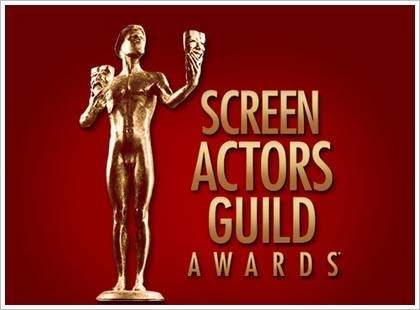 TDK also brought home a sec­ond award from the SAGs for “Out­stand­ing Per­for­mance by a Stunt Ensem­ble in a Motion Pic­ture”. The list of IMAX the­aters across the world that have re-released The Dark Knight has been announced by the WB. The Dark Knight: The IMAX Expe­ri­ence is sched­uled to play at the fol­low­ing loca­tions start­ing on Jan­u­ary 23rd. The Dark knight has picked up 8 Oscar nom­i­na­tions for Best Sup­port­ing Actor, Art Direc­tion, Cin­e­matog­ra­phy, Film Edit­ing, Makeup, Sound Edit­ing, Sound Mix­ing, and Visual Effects. Most impor­tantly Heath Ledger is up there amongst Downey Jr., Hoff­man, Brolin and Shan­non in the Best Sup­port­ing Actor category. Sad to see it miss out on the big ones though — Best Pic­ture and Best Director. Sun­day Feb­ru­ary 22nd is the date for your books. “I think Har­vey — if he’s not dead — is in a seri­ous coma,” stated Eck­hart, “and I’m not sure he’s com­ing out. They might pull the plug on him.” Seem­ingly firm words, right? Except even the notion that his alter-ego is still alive is a clear depar­ture from pre­vi­ous state­ments where the actor was per­fectly fine con­firm­ing Harvey’s death at the busi­ness end of a freefalling drop. We know from our recent inter­view with pro­ducer Charles Roven that screen­writ­ers Christo­pher Nolan and David Goyer have begun brain­storm­ing ideas for a third “Bat­man” film…could some­thing out of that have led to Eckhart’s about-face on Two-Face? His wink-wink-nod-nod answer seems to sug­gest that some­thing else may be at play. Are MTV clutch­ing at straws here?